Each quarter, the Client Portfolio Management Team records a video reviewing the economy and the markets to assist you in conversations with your clients. Watch the video and scroll down for investment ideas in today’s markets. We believe in the long run, fundamentals are what matter. We believe active bond management should also be able to add value over passive, laddered bond portfolios in this type of environment. Clark Capital Management Group, Inc. (Clark Capital) is an investment advisor registered with the United States Securities and Exchange Commission under the Investment Advisers Act of 1940, as amended. Registration does not imply a certain level of skill or training. Clark Capital is a closely held, mostly employee owned C Corporation with all significant owners currently employed by the firm in key management capacities. 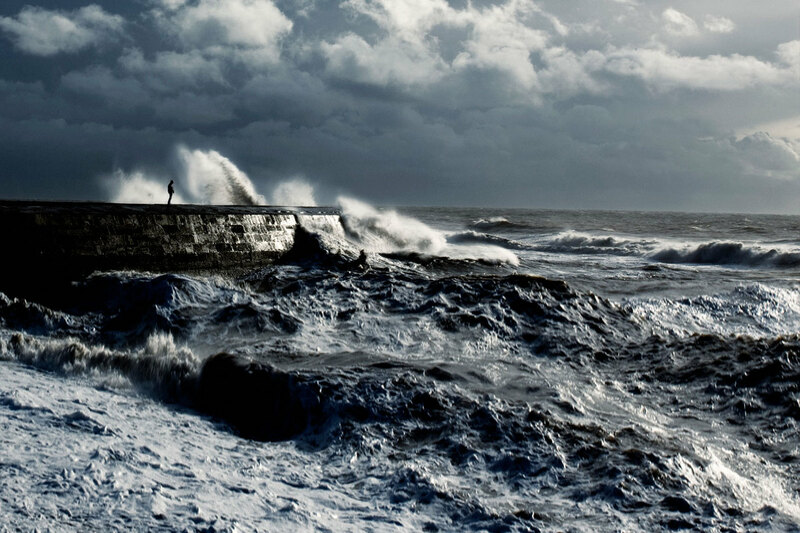 The firm specializes in managing equity and fixed income portfolios for individuals and institutions. More information about Clark Capital’s advisory services and fees can be found in its Form ADV which is available upon request.Past performance is not indicative of future results. The ranking shown above is not indicative of the adviser’s future performance and may not be representative of any one client’s experience because the rating reflects an average of all, or a sample of all, the experiences of the adviser’s clients. 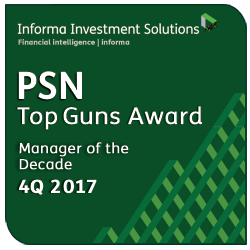 Top Guns Manager of the Decade is a recognition from Informa Investment Solutions PSN, an independent, national money manager database. This designation may not be representative of any one client’s experience because the rating reflects an average of all, or a sample of all, the experiences of Mr. Soslow’s GCM clients. This information does not reflect the experience of clients of Clark Capital Management Group, Inc. and is not indicative of future performance. For the periods when the designation was made, the recognition was for the GCM All Cap Core strategy managed by Mr. Soslow. Though the strategy was in the top ten, it was not ranked first in the top ten category for each period. The PSN All Cap universe is comprised of 356 firms and 509 products. Criteria: The PSN universes were created using the information collected through the PSN investment manager questionnaire and use only gross of fee returns; they do not reflect any management fees, transaction cost or expenses. PSN Top Guns investment managers must claim that they are GIPs compliant. Mutual fund and commingled fund products are not included in the universe. Products must have an R-Squared of 0.80 or greater relative to the style benchmark for the latest ten year period. Moreover, products must have returns greater than the style benchmark for the latest ten year period and also Standard Deviation less than the style benchmark for the latest ten year period and also Standard Deviation less than the style benchmark for the latest ten year period. At this point, the top ten performers for the latest 10-year period become the PSN Top Guns of the Decade. The complete list of PSN Top Guns and an overview of the methodology is available at www.informais.com/resources/psn-top-guns. *The Morningstar Rating is based on 10-year returns as of 2/28/2018. Percentile rank is a standardized way of ranking items within a peer group, in this case, strategies with the same Morningstar category. The observation with the largest numerical value is ranked one; the observation with the smallest numerical value is ranked 100. The remaining observations are placed equal distance from one another on the rating scale. Note that lower percentile ranks are generally more favorable for returns (high returns), while higher percentile ranks are generally more favorable for risk measures (low risk). Morningstar does not require a minimum number of items in order to percentile-rank a set of data. Morningstar calculates the ranking percentile figure using its total return database. ©2018 Morningstar, Inc. All Rights Reserved. The information contained herein: (1) is proprietary to Morningstar and/or its content providers; (2) may not be copied or distributed; and (3) is not warranted to be accurate, complete or timely. Neither Morningstar nor its content providers are responsible for any damages or losses arising from any use of this information. Clark Capital did not pay to participate in the rankings. Awards and rankings are only one form of performance measurement.